Scrum Developer Certification (SDC™) is an entry level certification for Scrum Team members and those who interact with Scrum Teams. 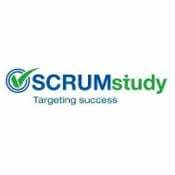 The objective of this certification is to provide foundational knowledge that allows the student to effectively contribute to Scrum projects. An online proctored exam will be conducted at the end of the course. One-year Advanced Membership worth $120. PMI approved PDUs. There is no formal prerequisite for this certification. However, it is preferable to complete the Scrum Fundamental Certification (SFC™) before applying for the Scrum Developer Certification.